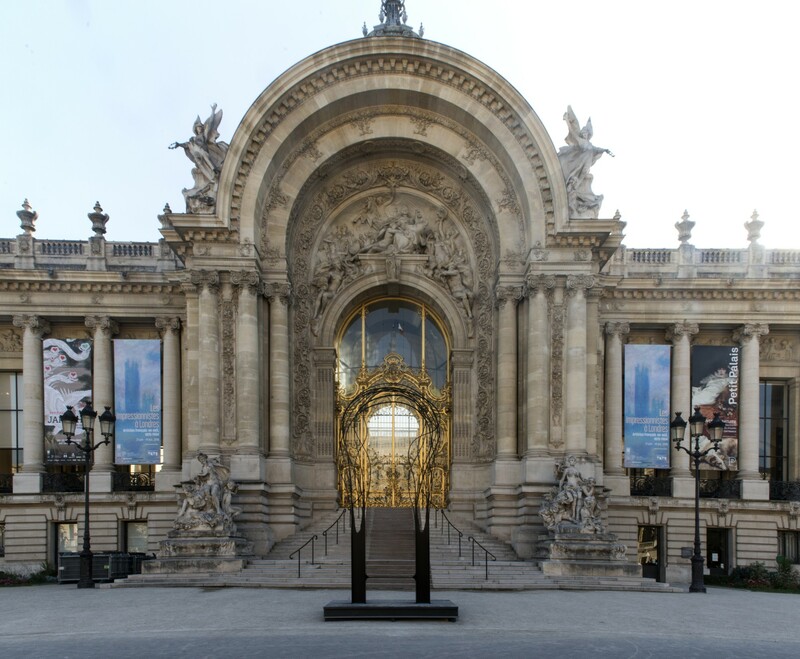 During FIAC, Waddington Custot is pleased to present two works by Pablo Reinoso in public spaces: ‘L’Arche’ will be situated in front of the Petit Palais and ‘Le Cercle’ in the middle of the octagonal basin in the Jardin des Tuileries. Pablo Reinoso, born in 1955 in Argentina, is a Franco-Argentinian sculptor. He has lived and worked in Paris since 1978. ‘L’Arche’ is part of the Beam Bench series that Pablo Reinoso began in 2011 and in which he continues his reflection on materials. By setting steel girders free from their original function, he creates conditions that are favourable to the creation of new possibilities. Steel takes liberties, stretching out in spirals to form an arch, which is designed to echo the doors of the Petit Palais and the curves of its architecture. The piece seems to frame the entrance to the building, giving passers-by somewhere to sit and providing a new vantage point between the two palaces. For the small octagonal basin of the Jardin des Tuileries, Pablo Reinoso designed ‘Le Cercle’, an installation that takes its place along the fabulous perspective that connects the Louvre to the Arc de Triomphe. Extending this exceptional alignment, the eight sculptures emerge from the water and radiate outwards to form a circle, their movements creating reflections on the water that change with the wind. Located as they are in the middle of the pool, the seats are inaccessible: by positioning the significant spaces of his work in an unattainable location, Reinoso builds a poetic narrative around the basin and the creation of detachment and distance gives rise to a play of gazes in the middle of the Jardin des Tuileries.